UPDATE: McJ at Winter Patriot dot com has been live blogging and covering this issue also. El (Al) Arish is where the water pipeline from the Nile ends. The map shows the location and the proximate town of Lihfen. (Lahfan) Note how close these places are to Gaza. Also note that the narrative about the Bedoin causing trouble was setting up over a week ago. 1/29/11: Bedouin tribesman have reportedly taken control of two towns in the Sinai Peninsula. These two towns are the closest to the Gaza Strip and right next to the border with Israel. There were reports yesterday that Bedouin tribes had besieged a police station in Suez and it appears that these riots have spread. This would effectively end the Mubarak dictatorship’s control of the region. There are no reports of the Egyptian military stepping in here. The more disturbing news is a threat that has been made by the tribes if Mubarak does not step down. According to one report coming from Time Magazine, they are willing to attack the Suez Canal if Mubarak does not leave....If there is a credible threat to the Suez Canal or actual stoppage by force, the 1956 invasion comes to mind. When Egyptian dictator Gamel Nasser nationalized the Canal, the combined forces of Britain, France, and Israel took it by force. It is possible that the United States or European powers would consider to retain control of this important waterway. "The Arish–Ashkelon pipeline is a 100 kilometres (62 mi) submarine gas pipeline connecting the Arab Gas Pipeline with Israel. Although it is not officially a part of the Arab Gas Pipeline project, it branches off from the same pipeline in Egypt....In 2010, the pipeline is supplying approximately half of the natural gas consumed in Israel, with the other half being supplied from domestic resources." As became clear later, this very important supply line to Israel was NOT the one that got bombed. Lucky that. The narrative there are pursuing here is the tension between the Bedouins and the Egyptian gov in the northern Sinai because they say the gov has not invested the gas revenues back into the area. The Southern Sinai is ok apparently because of tourist revenue. They keep talking about there being a security vacuum in the area and about the smuggling tunnels to Gaza. ...Reporter at the Rafah crossing saying that the security there is not good. Police have been attacked and are being protected by the military. They are staying indoors. Residents are forming their own neighborhood security as they have no police protection. This is being blamed on the Bedouin who are also responsible the smuggling trade to Gaza. Sabotage adds new dimension to unrest. Of course it does. Uncertainty and tension gripped Egypt with international clamour growing on beleaguered President Hosni Mubarak to hand over power immediately as saboteurs blew up a key gas pipeline to Israel adding a fresh dimension to the 12-day old crisis in the Arab nation. As unprecedented protests raged at the famous Tahrir Square in central Cairo, the state TV reported "dangerous explosions continuing from one spot to another" in the main source of gas supplying pipeline in El Arish. The attack on the pipeline came after Israel, which receives 40 per cent of its gas demand from Egypt, expressed concern that the supplies could be threatened if a new regime takes over in Cairo. The attack happened as tens of thousands of people held demonstrations against Mubarak with no sign of an end to confrontation which has pitted the 82-year-old leader against the anti-government protesters. With no let up in protests fury, President Mubarak, who appeared increasingly cornered, held a meeting of his new cabinet to revive the economy and project calm in the face of the increasing turmoil. The meeting was attended by Egypt's new Prime Minister Ahmed Shafiq as well as the central bank governor and the ministers of petroleum, social solidarity, trade and industry, and finance. Finance Minister Samir Radwan announced that the banks and stock market will reopen by Monday as he termed the economic situation in the country as "very serious". Government analyst claim that the uprising is costing the country at least USD 310 million a day. The President appears to have dug in his heels with the prime minister announcing that Mubarak had no intention to quit or transfer power to his deputy Omar Suleiman as being suggested by the country's major allies like US. The state-tv reported that Mubarak's meeting took place on Saturday morning in the presidential palace Heliopolis, a Cairo suburb miles away from Tahrir Square. The economic situation in Egypt is deteriorating, which Aangirfan has covered here. One result of this seems to be that the people of Egypt are being DIVIDED, as some people feel the protests should stop because now events are beginning to negatively impact daily life, and they will blame other Egyptians who are protesting for Mubarak to leave. Naguib Sawiris, the chairman of Egypt's Orascom Telecom, told the Financial Times (Business calls for unity alliance) that the protesters "are losing support in the street: many people are against their demand of President Mubarak to leave. "They worry about stability and people want to go back to their business. "Already people are short of food and money (and) businesses are going bust." How is Mubarak managing to hold onto power through all of this? He must have some powerful allies. However, is his general Suleiman one of them? Suddenly Mubarak has no intention of transferring power to Suleiman, his Ratzinger? Suddenly they are not so close after all? Suleiman seems very close to the ISRAELIS. Are we seeing a proxy battle between Rothschild and Rockefeller interests unfolding in Egypt? As usual in certain terrorist incidents, we get CONFLICTING REPORTS. Conflicting reports are always very helpful to muddy the water. There are conflicting reports of what caused the blast. Regional governor Abdel Wahab Mabrouk told Egyptian media he suspected "sabotage" but did not explain further. ...Sources in the Israeli consortium that oversees gas imports by Israel say the blast was "nowhere near" the main pipeline that runs into Israel. Instead, they say, it hit a pipeline that runs into western Jordan and then back into eastern Israel. Egyptian authorities say the explosion affected the main gas pumping station that moves supplies from al-Arish city, about 345 kilometers northeast of Cairo, to Jordan. They say those gas supplies were stopped as a precaution as firefighters battled towering flames that could be seen in Gaza from as far as 70 kilometers away. The incident has raised concerns within Israel about its long-term relationship with Egypt -- its biggest trading partner in the Middle East -- and the ramifications that regime change in Egypt could have on regional security. Mubarak met today with ministers responsible for the main economic portfolios in his new government -- including the prime minister, the finance minister, the oil minister and the trade and industry minister. The central bank governor also attended. SITE intelligence being, of course, Rita Katz, the notorious Zionist disinfo peddler of ZERO CREDIBILITY. A source cited by Radio Free Europe. Problems in the Sinai, problems that raise concerns in Israel about Israel's security, and which can be blamed on Islamic terrorists, would be very helpful to JUSTIFY some sort of military intervention. We assume that is one of Israel's goals -- to occupy the Sinai. Subsequent reports said the attack struck a part of the pipeline carrying gas to Jordan. The Israeli section was not hit, but gas flow was interrupted to prevent damage. Similarly, in the recent bomb attack in Russia, reportedly no Jews were killed. Chabad was immediately on the scene to check. Pretty soon, we expect Something Will Have To Be Done. 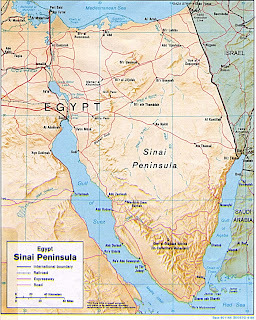 How soon before the Israelis, with a weakened Egypt, move into the Sinai? i'm surprised it is taking so long. mubarak seems to be holding on. Israel and false-flags are synonymous and go together like Zionism and Nazism. Now every time I read of some international engineered terror incident it more than likely has the Mossad or one of their proxy controlled asset's hand in it. In fact there are very few historic terror incidents I know of that can't be traced back to them. It's becoming absurdly routine to spot now, as they are very sloppy in the commission of these acts, leaving behind considerable evidence and trails that lead straight back to their door. Investigators trained and versed in their terrorist method of operations can now examine these staged incidents, pair it against motive, means and opportunity and come out with Israeli intelligence or military. they are sloppy, aren't they. do they not care anymore because they are so confident? or are they on the back foot and making mistakes? i hope it's the latter. That Bedouin army is a fierce bunch yes they are. The popular uprising has done an excellent job so far in not rising to provocation by reacting violently. This restraint has delayed the master plan. I agree that the fabricated acts of sabotage are being carried out by the usual suspects. I expect the tempo of these to increase as the ‘pseudo-gangs’ go to work. The propaganda press in the West can then go to work to paint the events in an extremist light. That way there will be less bleating from the sheep when the usual Jackboot tactics are implemented to cement a new regime. I fear that events to date are merely to set the stage for what comes next. The existing regime is now completely undermined and de-legitimised. That was the whole point. I think there has been infighting among the elites to see which stooge gets put in place. The delay has show more fracture points in the various relationships. With similar tensions rising all across the region this article from Noor shows that the scope of the strategy may be far wider than we think. If the British Empire could completely redraw the Middle East after WWI then the Zionists are arrogant enough to try to do the same. Over the few days that I had been monitoring the AJ coverage of Egypt, I was struck by the lack of mention of anything Israel. After the explosion, it was like someone had clanged the dinner bell and everyone was rushing to the table. It was all about Israel's security and was juxtaposed against the Bad Bedouin narrative. Stunning really (although not surprising) to watch/hear it in real time. They successfully implemented the "Israel will have no choice but to re-invade the Sinai to ensure their security and oil supply" story into the mainstream without any harm to Israel or any disruption to their supply of oil, with that one small incident. Of course, as you point out, we had be pre-conditioned to accept the story. Today on the AJ coverage the storyline has frequently been reinforced like it is some kind of no-brainer. hi McJ. great job live blogging. teevee is so tedious in that way, that whenever i watch it i have a running commentary of swearing but what a pain to actually write it down! however, many times these things go by so quickly and the transcript is key. and it takes days to find one if you even can and by then other events have overtaken. all of which they damn well know which is why they own the teevee networks. yes the narrative about israel's security is of central importance, both to the israeli public and of course the US and West. ridiculous. as for roth v rock, that is something that i'm not at all sure about. i have other things i read but they are too dicey to throw into the soup. however, it's something a few of us should be keeping in our peripheral vision, at the least, just in case any evidence surfaces. C, astute as ever. GREAT link from Noor. i would expect that whatever they "fear" as the worst case scenario will come to pass. that's the easiest way to justify what they want to do -- invade and occupy. conveniently, the MB is in the back pocket. Thanks and I am glad you could make some use of it. "many times these things go by so quickly and the transcript is key. and it takes days to find one if you even can and by then other events have overtaken"
Well, it just kind of happened because I was tired of making separate comments however what you noted was definitely in the back of my mind and I figured it was a good opportunity to record live events rather than trying to decipher the spin and lies that come after. And so it begins. Notice lately the insane state of hate. Apartheid Israel, isn't clogging up the news cycle blabbing about the 'bomb' that Iran doesn't have? The revolution in Egypt must be for real, but seems to be running out of steam. Who will get the blame for this aact of sabotage? Hamas? Hezbollah? 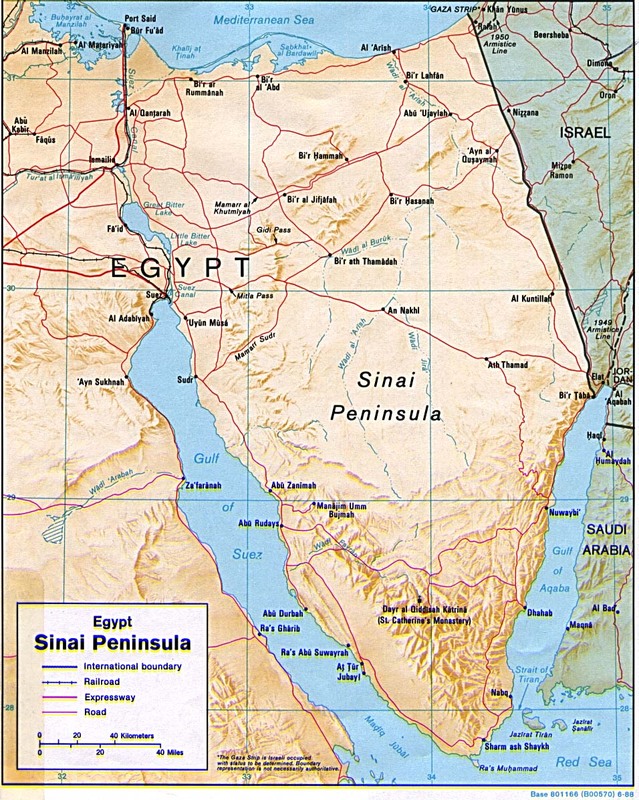 Or will another 'aL CIA Duh' franchise pop up in the Sinai? Those Conn. NG troops that got sent to the Sinai better be sharp, because they’ve got a large, Star of David shaped bulls eye painted on their backs. I just watched a video from Sheikh Imran Hosein querying if Al Jazeera is a controlled asset. I found it over at Northern Truth Seeker’s place. I have watched Sheikh Imran Hosein before and have been impressed with his clear sight and intelligence. The video was made back in 2003 and is very prescient in light of current events and McJ’s comment @1132 AM. great video C. i'll use it in the post i'm working on now. i think Aan also posted this video in the past week.